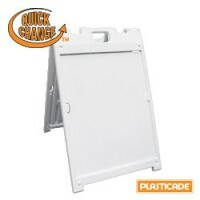 Our Sign frames are highly used to display special discount in stores and malls, they are also good when advertising on sidewalk locations where your storefront is far apart from the main transit are. 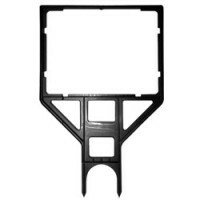 The most popular frames are the H frames which are used when you order Yard Signs, there are some other varieties of Metal Frame used in real estate like Banjo Frames.There is a Signs Frame for every need, you don’t have to limit yourself to hang the signs from grommets, use our Metal Frames or Plastic Frames to enhanced the visibility of your message. 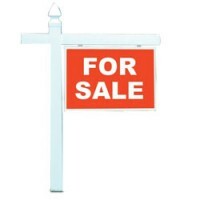 When the time comes to decide what Sign Frame you need to purchase take in count your needs, if you need a frame that has to fit certain sign measures, if the Sign will be outside or if you need something temporary. 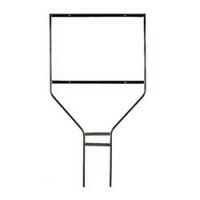 Our Metal Sign Frames are mostly used by realtor and there are some varieties and shapes for every need. 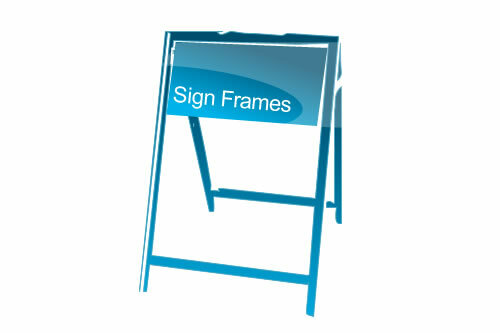 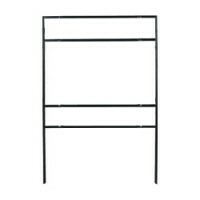 Call Quick Signs to get more info about what is the best frame for your specific use. 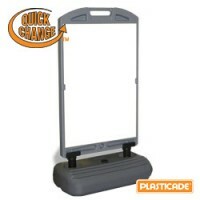 Plastic Frames are extremely helpful and the best investment you can make when you are thinking to have a constant advertising tool, our most popular frames are SignAcades which are long lasting plastic frame most frequently used on sidewalks, there are some other Plastic Frames more robust used in the main entrances of big chain store like the popular Wind Sign Frames or the super light weight and economic Simpo square an excellent solution for OPEN HOUSE weekend sales. 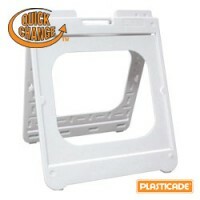 Choose or let us help you to get the appropriate Sign Frame to fit your message. 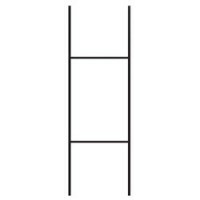 Want to order Sign Frames today?